Whether you’re wanting to achieve whiter teeth, straighter teeth, or a smile that’s free of noticeable chips and cracks, your goals are within reach here at Collins & Montz Dentistry. Our team offers a wide range of cosmetic services that can create dazzling improvements, many of which can be completed in a single, convenient visit. Better yet, we’ll work with you closely to ensure that your chosen makeover plan is an ideal match for your personal preferences and available budget. Contact our Melbourne Beach, FL office today to schedule your first appointment with Dr. Montz or Dr. Collins, or if you have any questions we can help you with. These restorations are designed to be extremely thin, which allows our doctors to fit them over the visible surfaces of affected teeth and transform your appearance in just a few short visits. During your initial consultation, Dr. Collins or Dr. Montz will review the particular goals you have for your improved look, noting any specific preferences you may have about the new shape, size, or color of your veneer. Then, once the permanent veneer has been created by a trusted laboratory, we’ll make any necessary adjustments before cementing it in place. You’ll be surprised to find that not only is the result extremely lifelike, but it’ll also be more resistant to gradual staining than your original enamel! 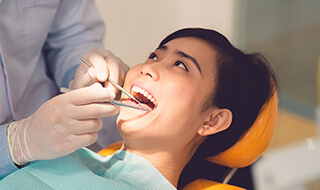 When your damaged or worn-down smile is in need of restorative care, you shouldn’t have to worry about sacrificing your beautifully natural look for the sake of preserving oral health. Our patients here in Melbourne Beach deserve the best of both worlds, and that’s just what they’ll get with metal-free restorations. Our doctors primarily offer high-quality, all-ceramic materials that are seamlessly lifelike in appearance – in fact, they even reflect light in the same way as your tooth enamel! 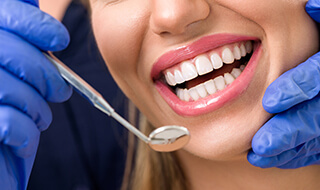 We can design dental crowns, inlays, onlays, and other custom restorations that blend right in once placed in your smile, allowing you to maintain your best appearance. In addition to being easy on the eyes, metal-free restorations are durable, comfortable, and highly biocompatible. They’re safe for all ages, even patients who’ve struggled with extreme sensitivities or allergies to common dental materials in the past. Are you happy with your smile, save for one small imperfection that grabs your attention every time you look in the mirror? Direct bonding could be the right choice for you. This simple cosmetic procedure is designed to be both affordable and effective. 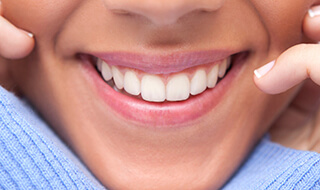 Over the course of a single appointment here in Melbourne Beach, our doctors will carefully apply tooth-colored composite resin to the affected area and sculpt it into a pleasing, lifelike shape that covers up the flaw. As long as it’s cared for with proper hygiene and regular checkups, the results you achieve from direct bonding should last 5-10 years or even longer. One of the most common dreams patients have for their improved smiles is that they’ll finally get rid of those noticeable gaps and fix teeth that are noticeably misaligned. However, traditional braces are off the table for many people, which is understandable – not everyone is willing to spend months or even years wearing metal wires and brackets that leave them feeling like they’re back in junior high. Thankfully, there’s an alternative available here at Collins & Montz Dentistry – Invisalign. 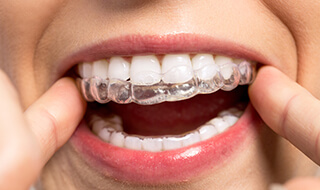 Invisalign treatment does away with the traditional braces model entirely, replacing it with clear, customized aligners that each represent a different stage of your changing smile. The patient’s responsibility is to wear each aligner as directed before switching to the next one in the set. The aligners are very subtle in appearance when worn, and they’re removable as well for eating, brushing, flossing, and big events where you want to look your best. Over time, the foods and drinks you enjoy, your lifestyle habits, and even unavoidable old age can darken your smile’s natural glow. 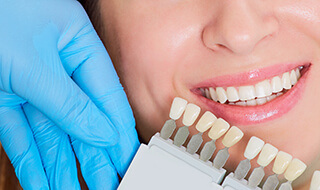 Thankfully, refreshing your appearance is possible with high-quality teeth whitening solutions here in Melbourne Beach. If you have a big event coming up fast where you’d love to show off a newly brightened smile, in-office Zoom! Whitening can improve your tooth enamel by up to 10 shades! The special no-heat light and powerful whitening gel work together in perfect harmony, and you’ll be finished in just one appointment. Some patients would prefer to achieve more gradual improvements when it comes to whitening their smile. In this case, our team will recommend a take-home kit that comes with custom-made oral trays and professional bleaching gel. You’ll simply wear both together as directed whenever you have the time at home, and within a period of ten days to two weeks, you’ll see a noticeably brighter smile emerge. 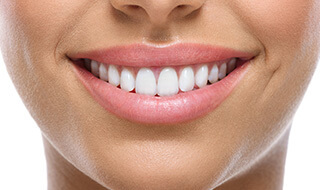 If your smile’s appearance is lacking, it might not actually be the fault of your teeth. Gum tissue can also contribute to cosmetic flaws, causing an uneven or overly “gummy” appearance and needlessly hiding healthy, beautiful dental structure. With the help of our state-of-the-art soft tissue laser, Dr. Collins and Dr. Montz can precisely sculpt your gum line and remove any excess tissue. In addition to aesthetics, this procedure may be necessary if we need to reveal more of one or several teeth in order to successfully place a restoration.